Let us explain the rules within the network. To put it simply, following these guidelines will help you succeed. Read our manifesto to find out what we're about! Have you been wondering why your profile has a number of Sharing Points? It's because we decided to measure how collaborative you are, and we actually found a simple and effective way to do just that. We see how much you work with other consultants by measuring how many credits of work you ask them to do. Sharing Points define your reputation with our algorithm. When you have more Sharing Points, you rank higher in the eyes of our algorithm. The higher your ranking, the more likely it is that the system will suggest your profile to clients that search for services you offer. You can choose to not refer anybody else to your client, and keep new 2PS leads for yourself (and your existing customers too). This will get you more income in the short term, but you will have 0 Sharing Points. Then, you will not be visible to clients who are looking for consultants on our mobile apps and other consultants who want to cross-sell services you offer to their client and do searches on our platform. Want to know why and how? To put it in short, referring other network members to your clients gets you more clients in the future. So how do I gain points? You get the same number of points as the number of credits you have given to another consultant to work with. For example, if your customer buys 40 credits for their project, and you ask another consultant to use 10 of these credits for your client, you automatically get 10 Sharing Points. It pays to work with new 2PS members! 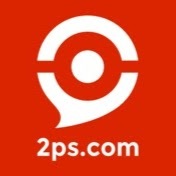 When you invite a new 2PS network consultant to work with your client, we double your points, so for every credit you give them to work on, you get 2 Sharing Points. Some members are part of a guild. A guild is formed by 2PS members working for the same company: a consulting boutique, accounting association, law office, tax experts, etc. In a guild, members do not get paid directly - 2PS pays the guild in bulk and then the guild master is responsible for allocating salaries, as they would in their own firm. Collaborating with people in your guild gets you the regular 1 point per credit, but if you work with people outside your guild, you get 2 points per credit! Why? We want you to keep focusing on your expertise and let other experts help you within the fields you don't really master. Every body will be happy: you stay focused and your clients is always receiving the best service. The future of consulting starts now. Is the gig economy a ripoff?